Twitter made an announcement late Tuesday that it was going to bring Promoted Tweets to mobile devices. Twitter mentioned about the Promoted Tweets last month. 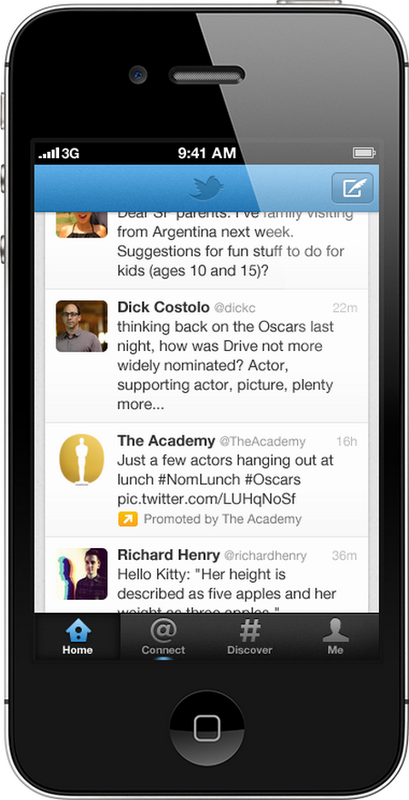 A with roll out already started, Promoted Tweets will soon join Promoted Accounts on users’ mobile devices. Moreover, advertisers are allowed to specify if they want their Promoted Tweets to run on iOS, Android or any other mobile platform. Such tweets will appear in the timelines of iOS and Android Twitter apps for mobile users. However, Promoted Tweets will appear in the timeline only once. According to company, the Promoted Tweets will appear in the timeline only if they are relevant. You can simply remove a tweet if you find it irrelevant. Furthermore, the company also states that the Promoted Tweets will flow with the other timeline feeds as they scroll down. However, when Twitter rolled out its ‘Quick Bar’, it met with heavy criticism. The bar appeared on the top of the screens as users scrolled, clearly displaying a rotating list of trends, such as those paid for by sponsors. Following the criticism, the Quick Bar was discontinued within the month of its release. Compared to Quick Bar, the latest version of Promoted Tweets for mobiles seems to be more user-friendly. It seems that Twitter introduces its Promoted Tweets into its mobile app in response to Facebook, which has also integrated ads into its mobile apps recently. However, both these companies still behind compared to Google, which could generate as much as $4 billion in revenues from the mobile advertising in 2012, predicted by an analyst. This will certainly result in bringing some big revenues to the company. Twitter already generated $139.5 million in ad sales last year, according to estimates collected by eMarketer. For the current year, the company’s revenue is anticipated to rise from 86.3% to $259.9 million in 2012.